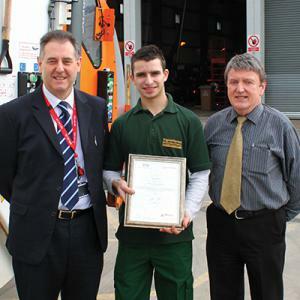 Jake completed his Level 1 Award in Vehicle Maintenance and Repair and his talent was spotted by Reigate & Banstead Borough Council when he applied for a job through their Young Workers Scheme. Although they did not have a Vehicle Maintenance Apprenticeship in place, they felt his engineering skills could not be missed and opened up a position for him. The Council were really impressed with Jake’s good attitude and willingness to learn that they have already signed up another apprentice through the College. Jake has recently completed his Advanced Apprenticeship in Heavy Vehicle Maintenance and Repair and continues to be employed at Earlswood Depot.